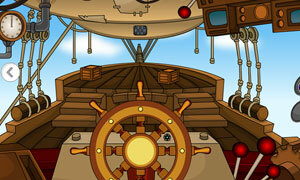 Steampunk Ship Escape is new online escaping ame by Eightgames. A man is working inside the steampunk ship.Unfortunately the door got locked inside. There is no one to help him.There are puzzles, hints and objects left. Find the puzzle board, solve the puzzles and help him to come out of it.